Mahendra Singh Dhoni can consider himself extremely lucky that match referee Prakash Bhatt chose to impose the most lenient of sanctions after he went all the way from the dugout to have a conversation with the umpires about a no-ball ruling that they had reversed during the final over of Chennai Super King’s (CSK) dramatic victory against Rajasthan Royals (RR) in Jaipur on Thursday night. It was a spectacle that cricket in general and IPL, in particular, could have done without. 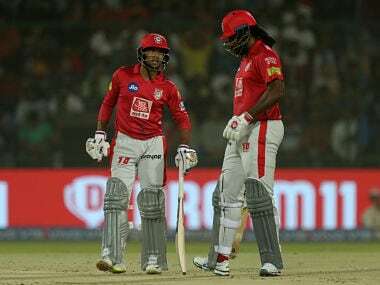 It was a moment in IPL history that was better off not enacted. It is a sight that fans did not deserve to associate with a man who has provided them with many moments of magic with his batting and captaincy. And yes, he did not need to be the focal point of criticism for his action. Of course, Dhoni broke into a sheepish smile when he remembered the ‘conversation with the umpire’ during the post-match presentation. 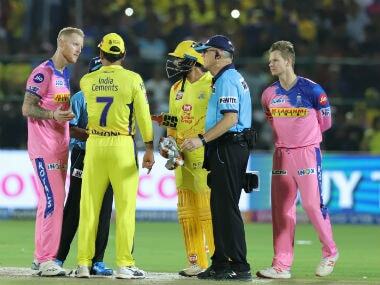 Coach Stephen Fleming claimed that Dhoni had walked in to seek clarity from the umpires Ulhas Gandhe and Bruce Oxenford about the decision to change the no-ball call and award Mitchell Santner a free-hit. That is an unacceptable explanation. Barring when he is batting, the only time a captain of the batting side can be on the field is when the umpires summon him to warn him about an offence by either batsman in the middle. Clearly, Dhoni went over the line — both literally and metaphorically — when he went in to check with the umpires. Non-striker Ravindra Jadeja had already taken it up with Gandhe and Oxenford. There is no question that Dhoni’s action left a bad taste in the mouth as it was not in keeping with the norms of the game or with his own image as Captain Cool. No provocation should be grave enough for him to leave the dugout and get to the pitch in those tense final moments. For, the Law of Cricket empower the batsmen to deputise for their captain when the play is in progress. It is not the first time that Dhoni was agitated when Oxenford was involved in changing a call. Back in February 2012, Michael Hussey was recalled after TV umpire Oxenford had mistakenly ruled him out stumped by Dhoni off Suresh Raina’s bowling in a tri-series game in Brisbane. Dhoni then had a not so pleasant conversation with Billy Bowden and Steve Davis. His argument with the umpires did not seem out of place as he was fielding captain then. But he cannot ever justify his action of interrupting play on Thursday. It was uncalled for and against the spirit of the game. As a captain, he is tasked with the major responsibility of ensuring fair play. And he should have stayed back in the dugout, no matter how agitated and infuriated he was. Such behaviour is something that even schoolboy cricket frowns upon. Yet, it is unfair to equate this with other infamous incidents involving captains and umpires. Whether it is England captain Mike Gatting pointing a finger at Pakistan umpire Shakoor Rana in in Faisalabad in 1987 or Sri Lanka skipper Arjuna Ranatunga getting into a heated debate with Ross Emerson in Adelaide in 1999, either man was already on the field of play. Let us now take up the quantum of punishment meted out to Dhoni for his offence. 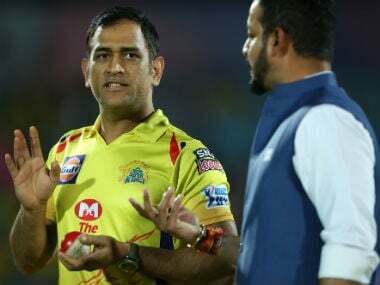 The match referee charged Dhoni with an offence under Article 2.20 (Conduct that is contrary to the spirit of the game) of the 2019 Vivo IPL Code of Conduct for Players and Officials. He then considered Dhoni’s action as a Level 2 offence rather than of a higher level. It entails the imposition of a fine of between 50 and 100 percent of match fee and/or a suspension of up to two matches. In his wisdom, Prakash Bhatt, who played 51 matches for Saurashtra between 1994 and 2004, decided that he would impose the lightest sanction on Dhoni, who has played 529 matches for India and has led India to victory in the ICC World Twenty20 2007 and the ICC Cricket World Cup 2011 crowns. 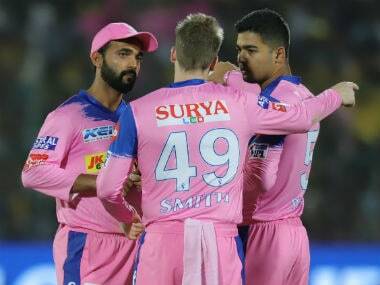 Having first decided that it was not a Level 3 offence — and that would have entailed a suspension between four and eight matches — Bhatt could have chosen a stiffer and a more exemplary penalty than he awarded the captain of the Chennai Super Kings. Of course, he could not be guided by the outrage churning in social media immediately. Nor could he sweep it under the carpet. 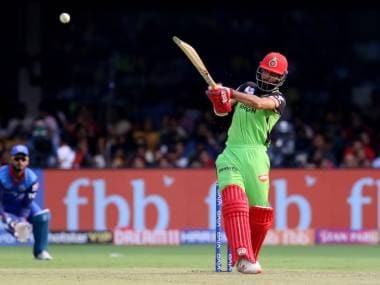 Bhatt has now willy-nilly set a precedent and other captains of batting teams could feel encouraged to step on the field of play, uninvited, since the quantum of punishment is just 50 percent of the applicable match fee. Had the highest penalty, including the suspension for a couple of games, been handed down, others would think many times before emulating this action of Dhoni’s. It must be understood and accepted that the match referee is the sole judge of the quantum of punishment. Fans and former players can have different points of view on the extent of punishment meted out to Dhoni, but even they will have to accept that so long as the rules were followed, it is the opinion of the match referee that counts. Now that Bhatt has made his decision, it can only be hoped that Dhoni, thanking his luck, would do a bit more than smile sheepishly. He will find his impulsive decision to leave the sanctity of the dugout and stride on to the pitch hard to live down, even in this day and age when public memory is at its shortest. And that internal strife may be a stiffer punishment to deal with.